After pressure from curious readers, ever-hungry for Half-Life 3 news, Game Informer have published an interview with a lone anonymous source at Valve, who has shared what he or she knows of the game’s start-stop development within the company and where the project is at now. You probably won’t like what he or she has to say. Want to catch up on the saga? Here’s the complete Half-Life 3 story so far. 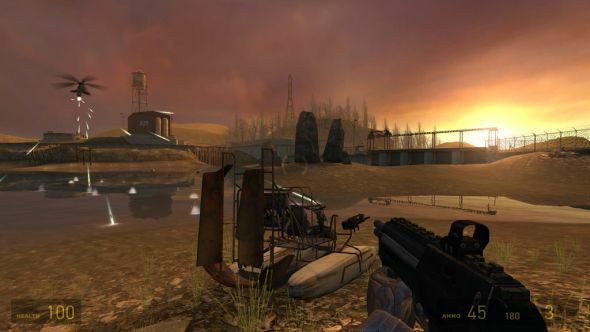 Earlier this week, we reported on news from a Game Informer podcast that some early prototypes for Half-Life 3 included an RTS and a video adventure game with live actors. That came from a GI source who would have contributed to a larger exposé, but, unable to get a second source, GI felt unable to run the piece. They’ve now done so, after an “avalanche of requests” in the wake of that podcast. GI insist that this should be taken with a grain of salt since it isn’t corroborated, but also say the source is trusted. The interview kicks off with the big question: how likely is it that we’ll see any more Half-Life? “There is no such thing as Half-Life 3,” says the source, pointing out that all Valve ever formally promised was a third episode for Half-Life 2. It’s known that there was at least some internal appetite for a full sequel, but since you’re not whacking a headcrab with a crowbar right now, it clearly hasn’t happened. One of the obstacles might have been Valve’s now-famous culture. It’s flat and collaborative, with project teams spontaneously coalescing around interesting-looking ideas with very little direction from management. It seems that, without such direction, teams have a tendency to bubble up and then dissipate. With respect to Half-Life, the source says this has happened many times. The implication is clear: Gabe Newell isn’t interested in more Half-Life. “I don’t think there will be any more,” is the source’s final, pessimistic assessment. “Every time a Half-Life project gets some gravity and then collapses, it becomes harder for the next one to start up. 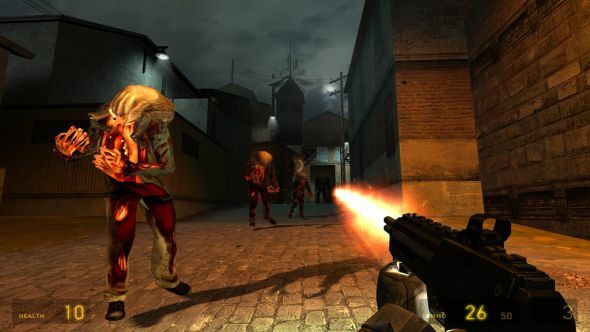 Because the business changes so much, and there are so many other things to do, it just gets harder and harder.” Valve is a very, very different company now than in 2007, when the last Half-Life 2 episode was made. Perhaps it’s time to face facts: Half-Life belongs to another era. If you’d like to read GI’s piece in full – and you would – it’s available here.